How wireless charging will work in the upcoming iPhone 8? Wireless charging feature has become a staple course on most of the high-end flagship devices by the smartphone manufacturers. Samsung was first OEM to deliver remarkable wireless charging capability to its premium Galaxy S models. But Apple has simply couldn’t bring this feature to its iconic iPhone range which are known for their terrible battery life and needs constant charging. But experts believe that this equation is all set to change with the launch of iPhone 8 next month. How it will work on iPhone 8? A number of rumours and inside reports have suggested that the one of the new premium models of the iPhone will feature the coveted wireless charging technology. It should be noted that Apple is all set to launch three iPhones this year which will include the ‘s’ models of iPhone 7 and Plus variants along with a special high-end iPhone 8. 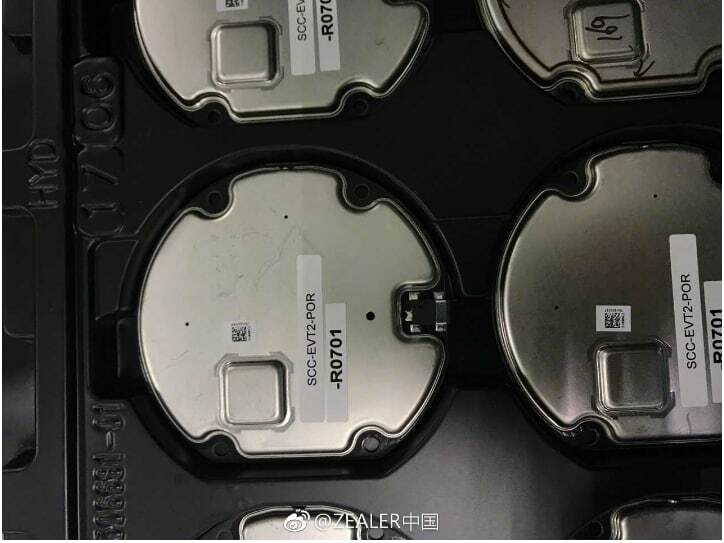 Apple is known for its secrecy surrounding the launch of the upcoming devices so there is no confirmation of the same from Apple but all hints points towards the same conclusion. Some of the major tech companies like Samsung, HTC, LG and Huawei are already a member of the Wireless Power Consortium. This consortium has comes with the popular standard which is called Qi charging and it is designed to empower the wireless charging capability among the electronic devices. Apple has just joined this group which gives rise to speculation that Apple is aiming towards bringing the same technology to its smartphone line up. This means that iPhone 8 will certainly possess this charging capability making use of the existing wireless chargers. Apple will also have to take requisite license in order to ensure that other devices are compatible with its new charging technology. Apple will certainly be bringing its very own range of wireless charging pad which will sold apart from the iPhone. Despite huge popularity wireless charging is known for being a slower and quite expensive technology than the usual plug-in method. In the wireless charging method the way energy gets transferred happens to be less efficient than the normal charging method. A number of firms are trying to enhance the wireless charging technology in order to make it faster and efficient than ever before. Firms are trying to come up with an advanced ‘magnetic resonant’ charging format which will enable users to charge multiple devices at once. A number of places have started offering wireless charging option at their premises to help users charge their devices on the go. This includes some of the popular restaurants and hotels like McDonald’s, Starbucks, PremierInn and Ladbrokes. Sadly some of the rumours has emerged which proclaims that the wireless charging on iPhone 8 will be slowest when compared to other smartphones. All of these are mere speculation but having wireless charging capability on the iPhone devices will be better than not having it at all. 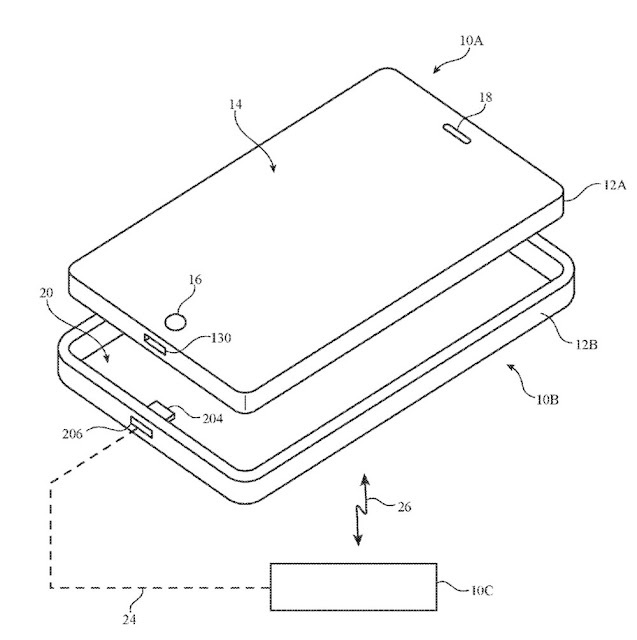 Patent application from Apple had been published on 15th June by the US Patent & Trademark Office relating to a next generation iPhone case which tends to integrate wireless charging. It had been observed by Apple that `the removable case could be couple to the electronic device by utilising wired as well as wireless paths which could be utilised in conveying power together with data between the case and the electronic device. 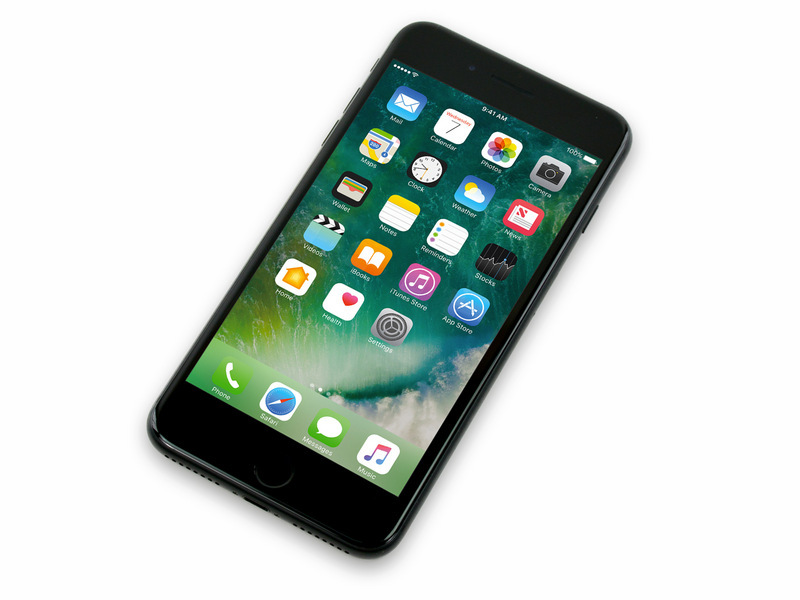 Last month Patently Apple had posted a report titled – Apple Seeks License from FCC Covering new Wireless Millimeter Wave Technology Found in a Recent Patent Filing’. The first millimetre wave patent of Apple has appeared in April in framework with new wireless patch antennas. 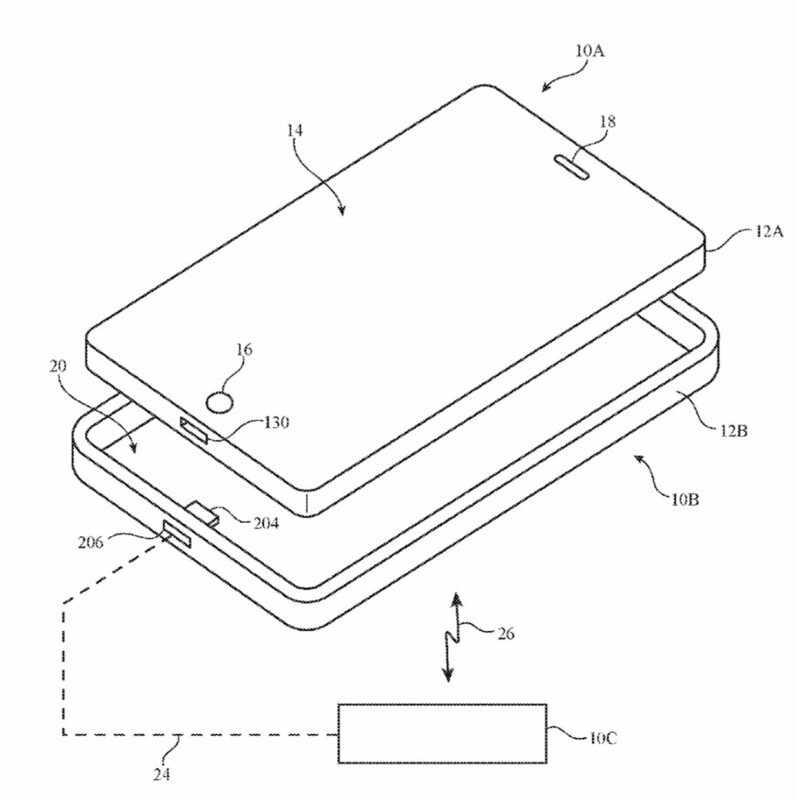 Present patent portrays that the latest iPhone case would utilise millimetre wave technology. Apple had indicated that this type of wireless charging could be utilised with forthcoming smart-glasses, head mounted systems, Apple Watch together with the other devices of Apple, known as well as unknown. Besides this, Apple noticed that `the removable case could also comprise of circuitry which tends to obtain wireless power from outside equipment and the circuitry which receives the wireless power could also receive wireless power at microwave frequency. The power established could be provided to the electronic device via wired as well as wireless paths. The removable case could also comprise of circuitry which wirelessly tends to communicate with the external equipment and a selection of antennas could be utilised in assisting beam steering. The selection of antennas could help wireless communications in millimetre wave communications bands like communications band at 60 GHz or an alternate extremely high frequency communications bands. The electronic device together with the case could have individual intermediate frequency antenna construction to enable intermediate frequency signals for wireless transmission between the case and the device. Millimeter wave technology, beyond a wireless charging iPhone case, can be utilised in other forthcoming wireless devices from smart-glasses, HMDs, iPhone, iPad, Apple Watch, headphones, television, Apple TV together with automobiles, wireless speakers and much more. It had been noticed by Apple that antennas #40 could comprise of phased antenna selections together with other antenna structures for the purpose of handling millimetre wave communications, for handling near field communications, for handling communications from 700 – 2700 MHz, or also for handling communications at other appropriate frequencies. The phase antenna selections may permit beams of signals which may be transmitted and/or received, to be steered in real time, for instance in enhancing wireless communications and/or wireless power transmission. Wireless circuitry #50 could comprise of baseband processors, up-converter and down-converter circuits, and transceiver circuits, circuits for controlling the operation of antennas in antenna selections, power circuitry, and transceiver circuitry for the purpose of handling wireless communications together with other wireless circuitry. Transceiver electrical system of electrical system 50 could also cover wireless local area network transceiver circuitry which could accomplish 2.4 GHz as well as 5 GHz bands for Wi-Fi. The patent application of Apple had been filed in Q4 2015 and taking into account that this is a patent application, the time of this kind of product to market is not clear at this point of time. Any device that requires charge so that it becomes eligible to let its users get all the privileges fed in it, troubles its users with the problem of charging. iPhones are the best of the smartphones available in the market and the brand that produces it, is bent on providing utmost benefits to their users. Because of so many enticing features in iPhone, it is the best in the field, but apple is trying to take the notches a bit higher by eliminating the process of plug in, this would raise the standard of charging in iPhones and will introduce a new era of lightning connector. Apple is known for introducing new and developed technologies in the market. We are all familiar with USB, that had a cold start but when Apple clubbed itself with iMac then the results were like an erupting volcano, there was none left who was not aware of this device. Wi-Fi, is another name to a developed device that had a large market before being thrashed by a competitor called HomeRf. News are such that Apple have forged an association with Wireless Power Consortium, a rumor has surrounded the planet that Apple is almost at the verge of adding wireless charging to iPhones, Apple will be the biggest producer to do if they manage to put up such a magnificent innovation, but it is sure that they cannot do it single handedly rather they might do it with the help of first-party accessory. There is still isn’t any confirmation on this news. It was like one member from the board of the Blu-ray Disc Association who had never forged any association with a Blu-ray drive. Possibilities are also there that Apple might have reserved wireless charging, as it is a tactic used by many to create buzz by leaking the news in the market so that it arouses interest among the users, as Apple has done it for several devices like the Apple Watch. Whereas, the company to introduce Qi to iPhone would lead to a wide variety of implications. As the rumors regarding iPhone 8 is swirling the entire market, Apple have tried and forged new plans so that wireless charging will start from now and the users would not have to wait for iPhone 8 to be launched in the market they can avail the facility of wireless charging on their current models of iPhones. Apple associating itself with Qi is a major plan as it might benefit the performance of the standard in some ways. This combination would be surprising and people will look upto it that what it will have in store for their customers. It is suggested that this association would be really beneficial as it would lead to quicker charging of iPhones along with a wide variety of other features. They are also planning to forge a compatibility with other vendors of phone as well, so that the implementation can be conformed as soon as possible. A large number of users wishes their Smartphone possess the wireless charging functionality so they don’t have look for power outlets and charges all the time. But wireless charging is in a very few number of flagship devices which are hugely expensive at the moment. Sadly Apple devices misses on the wireless charging support as well and hopefully we will see this feature in next year’s Apple range of devices. An innovative startup from France named Energysquare has come up with a universal solution to bring wireless charging to all the Smartphone and other handheld devices in a unique fashion. 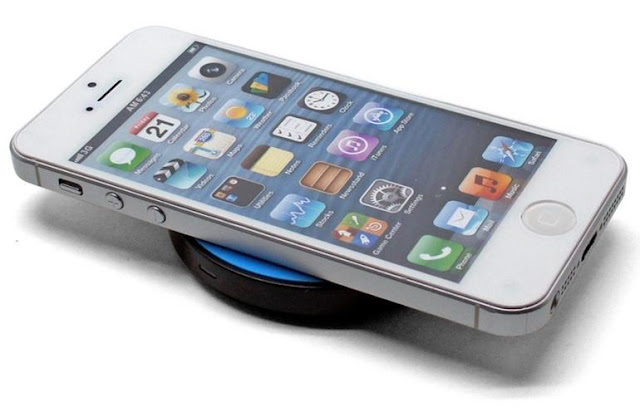 It has created a new kind of technology which brings wireless charging support to almost any kind of device. Energysquared has campaigned heavily on the crowd-funding site Kicjstarter last May to give a push to its new technology based product. It has promised to start manufacturing and shipping of the product in the early 2017 if it meets its funding target. Energysquare innovative product caught the fancy of millions of users worldwide and it has able to collect more that the target amount. Staying true to its promise it will showcase its revolutionary product at the CES trade show in Las Vegas. It offers comes in two parts which includes a charging pad and few stickers which has to be placed on the back of the device. This sticker comes with two tiny metal dots which are essentially electrodes. Stickers comes with a Micro-USB, USB Type C or Lightning connector which plugged right in the device’s charging port. Once users has put sticker on the phone then it has to be placed on the charging pad and charge will initiate within a second. What sets Energy Square apart from others? The wireless charging found on the most of the high end devices relies on the use of electromagnetic induction. On other hand Energysquare offering work a newly developed technology which extensively relies on the electric conduction. Reliance on this technology allows it to charge multiple devices in a single go at such speeds which can be easily compared with the normal charge. The basic problem or rather downside associated with it is that its stickers cover up the charging of the device. This is seen as a calculated move by the developers which help in abstaining users from charging normally as well as wireless at the same time. Therefore users will have to remove the sticker of they wish their devices normally through a charger. Energysquare has stated that it is aware of this problem and it will remedy it in the second generation of stickers which are expected to possess a port right on the backside. When it comes to price this wireless charging strip will only cost $89 wherein users will get a charging pad along with five stickers. Given the price one would get to charge at least five devices simultaneously regardless of the fact where they have inbuilt wireless charging support or not.